Discomfort speaks loudly in strange languages, saying the same thing. It is understood that it is good to not be aligning with that which does not agree with the fundamental elements of who you are. More difficult is finding the capacity to stay true while lies demand temporary focus, tempting resolution for a more tightly closed fist. 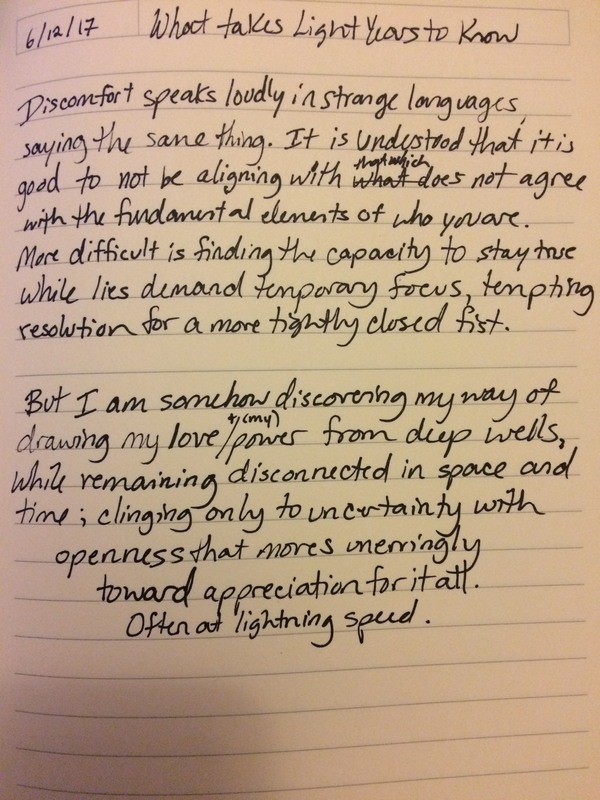 But I am somehow discovering my way of drawing my love and my power from deep wells, while remaining disconnected in space and time; clinging only to uncertainty with openness that moves unerringly toward appreciation for it all. ~ by lindseywhitemusic on June 13, 2017.